I'm sure you are all getting ready for Halloween, the shops are bursting with costumes and head boppers, spiders and pumpkins, skeletons and monsters and frankly it is hard not to get carried away. I generally have to avoid these aisles because I would spend money unnecessarily on what is frankly... tat. Also, Seb is two. 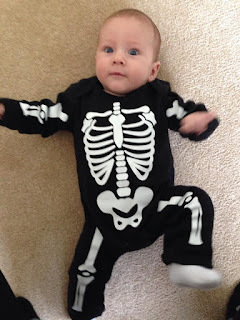 He doesn't wholly understand what Halloween is and I would hate for him to end up frightened! My husband suggested that we took him trick or treating this year to a couple of neighbours as he thought he might enjoy the process of dressing up but it was with the condition that I was very careful about what costume I bought. Last year Claudia Winkleman's daughter was famously badly burnt on her legs after her witches dress caught fire. She has been on a mission since then to educate parents about how unsafe these outfits can be as by the regulators they are viewed as toys rather than clothing, meaning they are not required to pass the same testing procedures. This is also usually why they end up being so cheap, previously to our delight as they may realistically wear this outfit once or maybe even twice! You can watch Claudia Winkleman retell her story here and see for yourself how easily it could happen to your child. This is not something I had ever given thought to before. We put our children in tule and glitter, hang capes and long sleeves all in the name of spookiness! 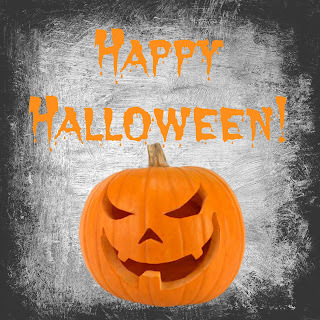 So now, I have done a bit more reading up on the best ways to avoid fire incidents around Halloween and found Good Housekeeping to have some great tips along with a video of some outfits that they gave a fire test to (here). I shan't be putting my lit pumpkin on the doorstep as I can't guarantee what other children will be wearing. I will either buy and electric candle or keep it indoors in the window out of reach. 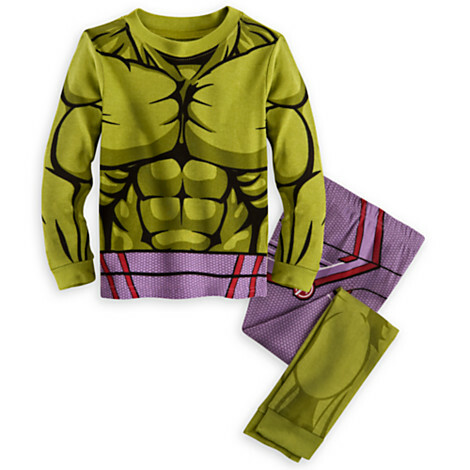 After a chat with Seb about what he might like to dress up as, he came back with the suggestion of Hulk. All the best looking costumes I found online said quite clearly - keep away from an open flame - or - highly flammable - in the description so those were a no go. Husband suggested PJs. Genius! He will actually love wearing these again and again after the event and it means I don't mind spending a little more as they will get the wear. So I headed to the Disney Store and found these PJs which will hopefully go down a treat and a mask from Amazon, which has arrived and he is terrified of.... so that was less of a win! Don't take all the fun away from Halloween because of our need to be risk averse... but risk manage. 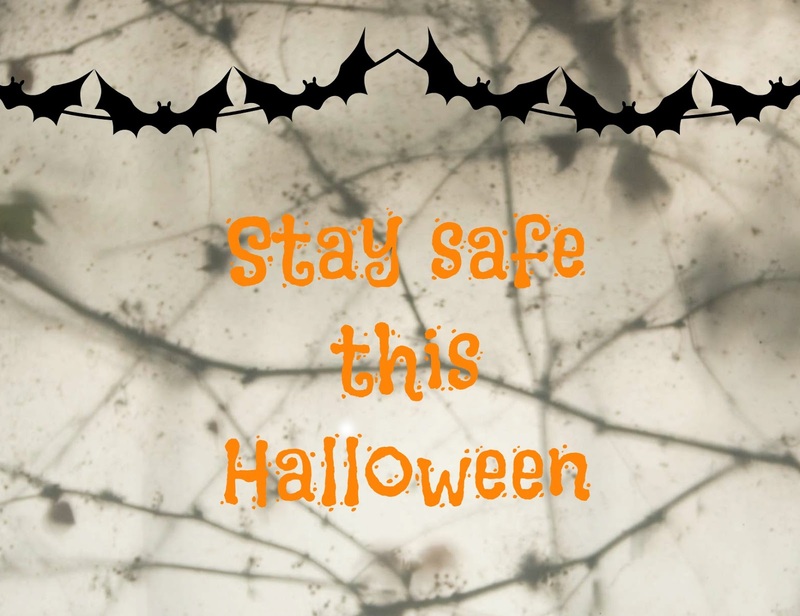 Be safe, make sure your kids are safe. Make sure they understand the risks of fire and what to do if something does catch fire. Letting children knock on strangers doors is peculiar enough at this time of year, make sure your child isn't the one who gets rushed off to A&E with 3rd degree burns as well. 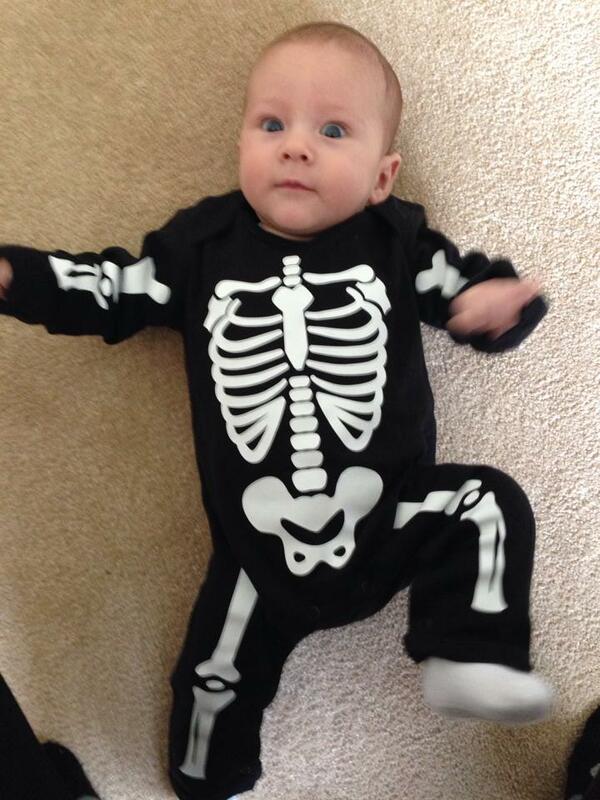 To end on a happier note... here is a picture of Seb at his first halloween two years ago.... awwww baby skeleton! !